Can we or should we observe Passover exactly as it is written in the Torah? Or do we need to take it, in context, with the rest of Yahweh's revelation through His prophets, apostles and only begotten Son? Some feel that we should observe a traditional Seder meal or even have the children partake of the emblems that the Messiah implemented in the New Covenant as symbolic of His body and blood. Is this what we should be doing according to Yahweh's Word as revealed to us today? In looking at what is typically called the Old Testament and comparing it with the New Testament, we'll consider our role in observing Passover as a body of believers. Called out from the symbolic Egypt and brought into a family relationship among the chosen people of Yahweh, the 12 tribes of Israel, and any who would join, accomplished all of the necessary acts through the will of Yahweh in the Messiah. You are not allowed to sacrifice the Passover in any of your towns which Yahweh your Elohim is giving you; but at the place where Yahweh your Elohim chooses to establish His Name, you shall sacrifice the Passover in the evening at sunset, at the time that you came out of Egypt, Deuteronomy 16:5-6 NASB. The timing of the Passover didn't change, but where it was to be kept did. Other changes have occurred as well, as we'll see, but this is a command that we are to pay attention to, especially the timing of it going back to when it first occurred. The other day I talked with our serviceman for the printer we use and he mentioned that he was recently re-baptized, because he realized that the baptism of sprinkling he received in the Catholic Church was incorrect. They had enacted a false tradition from the 4th century compared to what we understand the 1st century believers had observed. Regrettably, he mentioned that he was now looking forward to Easter coming up which we understand is another wrong tradition firmly established by Roman Catholicism with their stamp of approval on it and eventually adopted by Protestant organizations in which other churches have stemmed from. “In the course of the third century, the Roman practice gained ground everywhere in the East, and, to anticipate the result, was established by the Council of Nicaea in 325 [C.E.] as the law of the whole church. This council considered it unbecoming to follow the usage of the unbelieving, hostile Jews, and ordained that Easter should always be celebrated on the first Sunday after the first full moon succeeding the vernal equinox (March 21), and always after the Jewish Passover. If the full moon occurs on a Sunday, Easter-day is the Sunday after. By this arrangement Easter may take place as early as March 22, or as late as April 25.” – History of the Christian Church, Schaff, P., & Schaff, D. S. (1997). 4. Shows the unscriptural power and influence of a religious organization. What does Yahweh say about His Passover? These are the appointed times of Yahweh, holy convocations which you shall proclaim at the times appointed for them. In the first month, on the fourteenth day of the month at twilight is YAHWEH’S Passover, Leviticus 23:4-5 NASB. There has been much debate as to the accuracy of the canonization of the Bible because of the Catholics’ false teachings, since they were instrumental in solidifying the canon. But, we find the 66 books we have today are overall correct and are appropriate for our understanding of Salvation, and living according to Yahweh's written Word, following in the footsteps of Yahshua the Messiah. We do, however, have to reject false traditions both from Christians and from Jews. Christian traditions do cover up Torah and Jewish traditions do cover up Yahweh's Name. With the rise of Islam, from as early as the 6th century of our Common Era, we also have to point out that Muslims’ belief that "Israel converted to Islam," or that "Yahshua, son of Mary, actually called on the name of Allah" is a blasphemous tradition and false teaching we are also to avoid. As we go forward, looking at the overall instructions concerning Passover from the traditions of men, there was implemented another day for Yahweh's Passover which they changed to be called Easter. Request your free copy of the booklet called, The Counterfeit Called Easter. The idea that the Catholic Church, or anyone else for that matter, can go against Scripture is untrue, but we do receive insight and a higher level of maturity and understanding in the Messiah. Speak to the sons of Israel, saying, “If any one of you or of your generations becomes unclean because of a dead person, or is on a distant journey, he may, however, observe the Passover to Yahweh. In the second month on the fourteenth day at twilight, they shall observe it...," Numbers 9:10–11 NASB. Verse 11 actually closes out with "they shall eat it with unleavened bread and bitter herbs." For us in the New Testament, we emphasize Yahshua's death and sacrifice as our Passover Lamb. The emblems of unleavened bread and unfermented grape juice, representative of His body and blood, are of concern for us today, but Yahweh's Torah is of concern for many of us today, also. After all, we are to live by every word (Deut. 8:3), but certain things only apply to a standing physical Temple under the Levitical priesthood in which ceremonial applications were instituted. For example, if one of us touches a dead animal or person, it doesn't mean we can't come to services. We would not be unclean from such an act in the body of Messiah today. This, however, doesn't necessarily explain not eating bitter herbs. Yet, we don't eat bitter herbs during this time. Why? Because we do not live by Torah teachings alone, but by Scripture which includes the New Testament writings, all inspired by Yahweh. Bear in mind that our Master’s patience means salvation, just as our dear brother Paul also wrote you with the wisdom that Elohim gave him. He writes the same way in all his letters, speaking in them of these matters. His letters contain some things that are hard to understand, which ignorant and unstable people distort, as they do the other Scriptures, to their own destruction, 2 Peter 3:15–16 NIV. We know that Paul honored Yahweh by keeping Torah. We also know that he followed the Messiah, Who also kept Torah. But, they both tell us things like, if we went strictly with Torah would be considered blasphemy. Sacrificing a lamb in the New Covenant, and saying you have to do so for salvation, would be one of them. Now if perfection had been attainable through the Levitical priesthood (for under it the people received the law), what further need would there have been for another priest to arise after the order of Melchizedek, rather than one named after the order of Aaron? For when there is a change in the priesthood, there is necessarily a change in the law as well, Hebrews 7:11–13 ESV. Please note that a change in the law is not the doing away of the law. The law that we abide in will help us serve the physical people in the coming Kingdom. By keeping the same laws, though, we do find differences in administering these laws today. For example, we do not carry out all of the civil laws that we find were part of the instructions for Yahweh's people. Breaking the Sabbath willfully meant stoning the individual to death in the Torah. We cannot do this under current civil laws today, but it doesn't mean that a person breaking the law of Sabbath will go free under the Melchizedek Order. Persistent, willful, and unrepentant sinning is a certain death sentence for those who have entered into the New Covenant only to turn back to sin and start living in it (Heb. 2: 1-3; 10:25-31, 35-36). We find those in the body of Messiah are now in the Melchizedek Order. Cause and effect still occur. For example, the death for those in Messiah, who willfully turn away from doing Yahweh’s will, will face a spiritual death. Their complete destruction will be at the lake of fire in the future judgment (Heb. 10:26-27). Therefore, it is clear that grace is not a license to continue living in disobedience. A Sabbath keeping or observing, as Hebrews chapter 4 points out, still remains (Heb. 4:9-11). Does this mean we keep with the tradition of the Catholics, which readily admit changing the 7th day early on in their history (4 C.E.) to the 1st day of the week? They even proceeded, by their laws (dogma), to take Yahweh's Name out of their liturgy in August of 2008. Is this what we should do, also? Not at all! Yahweh's weekly 7th day Sabbath from creation remains unchanged, and was kept properly by the Apostles and the Messiah Himself in New Testament times, as an example to us today. Their example we are to follow, according to the Law of Yahweh. I don't want to deviate too far from the subject of Passover, but we need to grow to a more mature stature in Messiah. To do so we need to get a better understanding of Yahweh's will for us in our current sojournings, in what can be called a symbolic wilderness. Be subject to every institution of man because of the Master, whether to the Sovereign as Supreme, or to governors, as to those who are sent by Him for the punishment of doers of evil, and a praise for those who do good. Because such is the desire of Elohim, that by doing good you should put to silence the ignorance of foolish men, as free, yet not using your freedom as a cloak for evil, but as servants of Elohim, 1 Peter 2:13–17 TS (see also Rom. 13:1-7). We don't stone the willfully disobedient, but we do warn them of the wrath to come and the judgment that has come even now (1 Pet. 4:17) to those in Messiah Yahshua. And, of course, if the king of the land tells us to disobey Yahweh by bowing down to some Idol, then we even have the Scriptural examples outside of the first five books of Moses to know we have to obey Yahweh rather than man (Acts 5:28-29). Given the option of Passover or Easter, which of these two is correct? Given the option of having a traditional Passover Seder versus having the emblems of Passover, which is correct for those in Messiah? For I received from the Master that which I also delivered to you, that the Master Yahshua in the night in which He was betrayed took bread; and when He had given thanks, He broke it and said, “This is My body, which is for you; do this in remembrance of Me.” In the same way He took the cup also after supper, saying, “This cup is the new covenant in My blood; do this, as often as you drink it, in remembrance of Me.” For as often as you eat this bread and drink the cup, you proclaim the Master’s death until He comes. We understand clearly that Easter sunrise service is foreign and is, in fact, a counterfeit substitute to what really took place in Scripture. Paul is quoting Yahshua's own words in the verses quoted above. He also points out that it was at night during which time this occurred, the correct timing of Passover, according to the command of Yahweh. Read ourr free in-depth booklet called, Passover: A Memorial for All Time. The sacrificial lamb is not mentioned in the quote from the Apostle Paul, just the token amount of unleavened bread and grape juice is important to us. We also do the foot washing, directed by our Savior in John 13:3-17. Paul actually had to rebuke the brethren at Corinth, who evidently had more interest in having a party or festivity with food and wine, rather than a somber memorial service with the required emblems of unleavened bread and grape juice. He basically told them to eat at home (1 Cor. 11:34), then come to the memorial service. Things we see today, like shank bones and boiled eggs with four glasses of wine, are not for New Testament believers. Neither is it appropriate what some Christian groups are doing when they say, "we should take the emblems every week or every month," because of the verse that says, "as often as you eat this bread and drink the cup, you proclaim the Master’s death until He comes," 1 Cor. 11:26 NASB. Some will even say, "let's do it every day!" We don't want to belittle anyone here, but we have to speak up and make the point. There is a right way, and it is based upon the Whole of Scripture. He who is born in your house, and he who is bought with your silver, has to be circumcised. So shall My covenant be in your flesh, for an everlasting covenant. And an uncircumcised male child, who is not circumcised in the flesh of his foreskin, his life shall be cut off from his people—he has broken My covenant, Genesis 17:13–14 TS. While this speaks of the Abrahamic Covenant with physical circumcision, one of the changes in the law dealing with circumcision in the New Covenant is that it is spiritual circumcision of the heart. The letter to the Galatians is a wonderful explanation of how we are justified and forgiven in Messiah by grace. The death penalty for breaking the law of Yahweh is taken away and no longer do we have to offer the physical blood sacrifices under the Levitical priesthood. It was an unending cycle of killing that never did change the hearts of the people, but today our hearts are changed in Messiah. It was for freedom that Messiah set us free; therefore keep standing firm and do not be subject again to a yoke of slavery. Behold I, Paul, say to you that if you receive circumcision, Messiah will be of no benefit to you. And I testify again to every man who receives circumcision, that he is under obligation to keep the whole Torah, Galatians 5:1–3 NASB. Take time to read the letter to the brethren at Galatia. They were being troubled by Torah observant Jews who didn't understand the New Covenant. The same confusion exists today with some believers, and even leaders proclaiming the Messiah, saying boldly, "you must be physically circumcised as an adult male, because it is in Torah!" It's a deadly teaching for those in the New Covenant, as Paul pointed out in verse 2, "if you receive circumcision, Messiah will be of no benefit to you." He goes on to say, in verse 9, "a little leaven leavens the whole lump." He's speaking of false teachings making their way into the body and corrupting it. But, how can that be? Physical circumcision is in the Law! We have to consider it in Light of the Whole of Scripture just which Law is being spoken of and how it applies to us in a New Covenant. Under the New Covenant (i.e., the New Agreement), there is no token needed of a previous blood covenant, which is exactly what physical circumcision is, a blood token of an older agreement. This does not mean that we should stop circumcising children on the eighth day, as it is not a bad tradition and law. We do think, at a minimum, that it's proper for male children of eight days of age to be circumcised. It's been proven to be beneficial, and hospitals today perform the procedure regularly, for that reason alone. As adults, however, it is not necessary and is even detrimental to think one has to do it to be saved in Messiah. After all, which covenant are we best to find ourselves in? The Abrahamic Covenant was brought into what is often called the Old Covenant. With it comes the promises of blessings for the descendants through Isaac and Jacob, whose name was changed to Israel. The Levitical Order of Priest- hood was also brought into the Old Covenant with its sacrificial laws and also the ceremonial laws. Sacrificial laws, in fact, were the laws that were added (Gal. 3:19) from Adam and Eve's time, when they first sinned and animals had to die. They used their skins as wearing apparel. Today, we put on the Messiah (Rom. 13:14; Gal. 3:27). There is one body and one Spirit, as you also were called in one expectation of your calling, one Master, one belief, one immersion (mikvah), one Elohim and Father of all, Who is above all, and through all, and in you all, Ephesians 4:4–6 TS. There are eternal laws, which are righteous and everlasting (Ps. 119:142,160), found in Torah even before Mount Sinai (Gen. 18:19; 26:5; Ex. 16:28, 34). In condensed form they are the 10 Commandments, but they are not the only laws. Various other laws also existed; namely civil laws, sacrificial laws, ceremonial laws, unilateral and bi-lateral covenants/promises, sign of physical circumcision, etc. 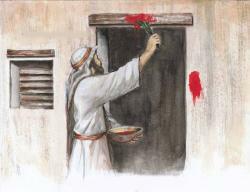 All sacrifices and covenants in blood are found new in Messiah, when accepting His shed blood. All previous promises, with the addition now of eternal life in a new priesthood of the Melchizedek Order, is found in Messiah. This is why so much emphasis is on Messiah now, in the New Covenant. It's better in every way with better promises attached to it. If we say the new covenant is a renewed covenant, it makes it sound like everything stays the same. Everything does not stay the same. One can also ask, "Is it a renewed covenant for the new believer if they were never in a covenant with Yahweh before?" Not at all. This could only apply for the Jew or gentile today who is already claiming the 1st Covenant and has been Torah observant as much as is possible without a physical Temple. Some will argue that we should sacrifice a Passover lamb, as Yahshua wasn't really the Passover Lamb, and that He Himself indicated not even that which is the smallest letter (jot) or stroke (tittle) would be removed until all was fulfilled (Matt 5:18). We now have to address these ideas, since these types of teachings are going forth to brethren from probably well meaning but misguided individuals. Even the idea that other brethren can baptize one another is a tradition right out of a lack of understanding on the part of some lead- ers who have adopted a few Messianic (Jews, who have accepted the Messiah) traditions that aren't scripturally accurate. Please see the mini-study called, The Authority to Baptize. A few point to Yahshua's words of "I shall never again eat it [i.e., Passover] until it is fulfilled in the kingdom of Yahweh,” Luke 22:16. This, they say, is proof we should continue sacrificing the Passover lamb, eating it at the prescribed moed (appointed time). It actually seems like a reasonable argument until one considers His other statement of Behold, I stand at the door and knock; if anyone hears My voice and opens the door, I will come in to him and will dine with him, and he with Me, Revelation 3:20 NASB. While this can and will relate to the future, it also related to right now with the brethren who have Yahweh's Spirit. Yahshua answered and said to him, “If anyone loves Me, he will keep My word; and My Father will love him, and We will come to him and make Our home with him," John 14:23. So how do we understand Luke 22:16 and Matt. 5:18? We understand that Spirit beings can manifest themselves as physical humans, as Yahshua Himself did (John 20:27). Spirit beings do not need to eat physical food, but can do so if they manifest themselves as physical in the physical realm, Gen. 18:1-8. In Ezekiel chapters 40 through 46, we find a prophetic vision for the future millennial rule. It will be when Yahshua reigns (Ezek. 4:4-7) with a rod of iron as King of kings and when the Levites and their descendants will once again serve at the Temple (Ezek. 44:10,11 and 15), administering the sacrifices and other ceremonial aspects of the Torah. This is a time in which the physical people, who come into the kingdom through the Great Tribulation (Day of Yahweh), evidently, did not properly accept the Messiah nor the New Covenant agreement He instituted. The time of these laws are in the future, but are now in abeyance. Our time now speaks of what Yahshua told the woman at the well. Yahshua said to her, “Woman, believe Me, the hour is coming when you will neither on this mountain, nor in Jerusalem, worship the Father. You worship what you do not know; we know what we worship, for salvation is of the Jews. But the hour is coming, and now is, when the true worshipers will worship the Father in spirit and truth; for the Father is seeking such to worship Him. Elohim is Spirit, and those who worship Him must worship in Spirit and Truth,” John 4:21–24 NKJV. Understanding when the laws are put into practice are as important as knowing what the different laws are. It's also important to know which priesthood one would want to be a part of. To think that Yahshua will manifest Himself physically and sit down with others who are brought in the kingdom is not out of the realm of possibilities. One thing we've always told people is to keep an open mind when thinking of prophecies. The point now is we do not sacrifice a lamb thinking that will save us. Nor do we find Yahshua's statement of not eating it until the Kingdom as proof of us needing to do so now. But, the physical people in the coming Kingdom will need to learn and Who better to learn from than Yahshua Himself, if He were to humbly sit down and eat with them and us as spirit beings who will also be able to manifest ourselves as physical mankind. So, is it alright for children to partake of Passover? After all, we are to train up a child in the way he or she should go (Prov. 22:6). And you are complete in Him, Who is the head of all principality and power. In Him you were also circumcised with the circumcision made without hands, by putting off the body of the sins of the flesh, by the circumcision of Messiah, buried with Him in baptism, in which you also were raised with Him through faith in the working of Elohim, Who raised Him from the dead. We have been justified in Messiah, raised with Him after we repent of our former sins and recognize that we are no longer to live contrary to His Father's way of life. How does a child comprehend this? They simply cannot grasp the depth or the seriousness of it. And, while a teenager may start to understand, Scripture clearly gives at least 3 witnesses to the fact the age of 20 is the Age of Accountability. They weren't allowed to go to war until they reached age 20 (Num. 1:2-3), all who were 20 and over would die in the wilderness due to their sins and the rebellious nature of Israel (Num. 14:26-30), and not even those under 20 were obligated to give an offering according to the law (Ex. 30:12-16; 38:26), where the offering is the same for the rich as it was for the poor. Yet, when they became 20 years old they had to make a decision whether they would live for Yahweh or not by tithing and living all according to His word. The Levites, also, who were 20 years of age and over, went to work in and on the physical Temple of Yahweh (Ezra 3:8). Today, Yahweh is building a spiritual Temple (see our in-depth study called, the Temple Tenth), and it is those of The Age of Accountability (see our mini-study with this title) that are allowed to help and be a part of this Temple. There is one body and one Spirit, just as you were called to one hope when you were called; one Master, one faith, one baptism, Ephesians 4:4–5 NASB. Is Yahweh calling physical children? While He does bless children, their calling isn't truly until they can make the comprehensive decision to do so. There are no examples of children being baptized in Scripture. While we are to have faith like a child, Yahweh is calling those who can comprehend the magnitude of what is being offered. Science, just about a decade ago, stated that age 20 is when the frontal lobe region of the brain fully develops. It is this region, they say, that has to do with long-term planning and goal setting. Imagine not having that part of your brain not fully developed when making such a strong life and death long-term (eternal) commitment. Even as adults, we have a hard time understanding at times. One’s previous baptism, doing the best with what they knew at the time, is seen as having a type of baptism of repentance. And it happened that while Apollos was at Corinth, Paul passed through the inland country and came to Ephesus. There he found some disciples. And he said to them, “Did you receive the Holy Spirit when you believed?” And they said, “No, we have not even heard that there is a Holy Spirit.” And he said, “Into what then were you baptized?” They said, “Into John’s baptism.” And Paul said, “John baptized with the baptism of repentance, telling the people to believe in the One Who was to come after him, that is, Yahshua.” On hearing this, they were baptized in the name of the Master Yahshua, Acts 19:1–5 ESV. It is important to receive the Spirit and to be grafted into The Family, and take on The Family Name. It is in the Name of Yahshua that we become able to inherit all things with the Son of Yahweh, being led by the very Spirit of Yahweh and His Word. For this cause I bow my knees unto the Father of our Master Yahshua Messiah, of Whom the whole family in heaven and earth is named, that He would grant you, according to the riches of His glory, to be strengthened with might by His Spirit in the inner man, Ephesians 3:14–16 KJV. How Important is His Name? It is important to acknowledge Yahweh's Name and His Son's Name? Everyone who calls on the Name of Yahweh will be saved; for on Mount Zion and in Jerusalem there will be deliverance, as Yahweh has said, even among the survivors whom Yahweh calls, Joel 2:32 NIV. Whose Name do we call upon in baptism? Whose Name do we honor during Passover? In Whose Name do we find Salvation? And there is salvation in no one else; for there is no other Name under heaven that has been given among men by which we must be saved, Acts 4:12 NASB. Yahshua holds the Father's Name within His Name as He has inherited it, similar, in a sense, as we inherit our family name. Having become as much better than the angels, as He has inherited a more excellent name than they. For to which of the angels did He ever say, “YOU ARE MY SON, TODAY I HAVE BEGOTTEN YOU"? Hebrews 1:4–5a NASB. Today, we have the opportunity to also become sons and daughters of Yahweh and inherit The Family Name and with it all things in heaven and on earth. When we find that we've been in error, we are to repent and change to the right way: Yahweh's way (Prov. 10:29, Hos. 14:9, Acts 18:25, and Matt. 7:14). Purge out therefore the old leaven, that ye may be a new lump, as ye are unleavened. For even Messiah our Passover is sacrificed for us: therefore let us keep the Feast, not with old leaven, neither with the leaven of malice and wickedness; but with the unleavened bread of sincerity and truth. After Passover (notice Paul acknowledges Messiah is the Passover sacrifice, as some will say otherwise), we immediately come into the Feast of Unleavened Bread and learn more about eliminating false ways, false teachings, any bickering or maliciousness toward one another, hypocrisy, sin, and every evil way out of our lives. Did I leave anything out? In a sense, we leave Egypt behind with all of its false ways of doing things. Let's remember what Yahweh has done for us, providing us a Perfect Sacrifice, so we may receive the help we need in overcoming the world and all the errors found in it. We might look forward to the coming Kingdom and world to come without anything in it to offend or to cause sin. We should now purge all evil from within us, allowing us to serve Yahweh and one another without hypocrisy. Let's be found to have the Love of Yahweh indwelling, which is provided through His Holy Spirit, to enable us to live the Word according to the Whole of Scripture. Observing Passover in light of the whole of Scripture means we observe it differently today than what was proscribed in Torah. It doesn't mean Yahweh changes. He still wants obedience from the heart and He wants our hearts circumcised. He always has wanted this from His people. His love, mercy and grace stay constant and unchangeable (Mal. 3:6). Now Israel, what does Yahweh your Elohim require from you, but to fear Yahweh your Elohim, to walk in all His ways and love Him, and to serve Yahweh your Elohim with all your heart and with all your soul, and to keep YAHWEH’S commandments and His statutes which I am commanding you today for your good? Behold, to Yahweh your Elohim belong heaven and the highest heavens, the earth and all that is in it. Yet on your fathers did Yahweh set His affection to love them, and He chose their descendants after them, even you above all peoples, as it is this day. So circumcise your heart, and stiffen your neck no longer, Deuteronomy 10:12–16 NASB. Yahweh has allowed us (many of whom are probably descendants of the lost 10 tribes of Israel), who accept His Son, to come back to Him in a restored relationship (Rom. 9-11, see also our mini-study entitled The Hope of Israel), so that we can be a part of The Family and to do His will as is required of us. Actually, Their will, since it is the Father's will for us (Ex. 23:22a; John 5:43). Let's consider all of this as we prepare for Yahshua's return and keep Passover this year in memory of His death and sacrifice for us.